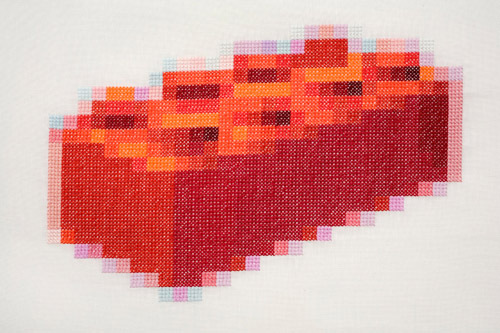 Norwegian artist Nils Viga Hausken works in a variety of mediums, but in the past ten years much of his work has consisted of cross stitch on linen. 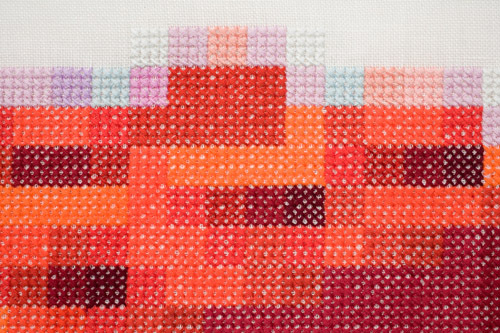 This embroidery work deals with aspects of time and Nordic tradition. Some pieces play off of Nordic china patterns, while others are strictly type, in what seem to be political and humorous statements, but I can’t be sure since they’re in Norwegian or Danish. And then there are the Legos! The universal language of Lego. 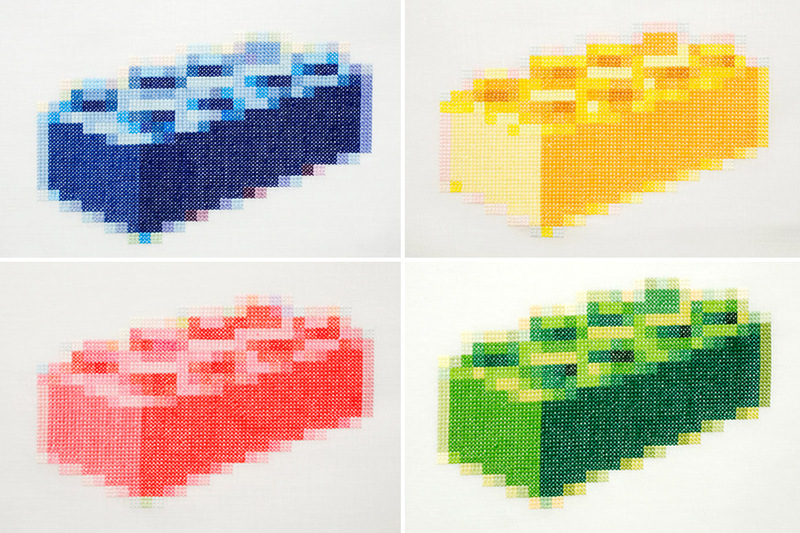 The digitized-looking pieces are embroidered to pixelated perfection, and, well, they’re just kind of fun. The QR code series have curious names that make me wonder if they are actually scannable. From top left to right and top to bottom: What are you looking at; Faith; Hope; and Love. 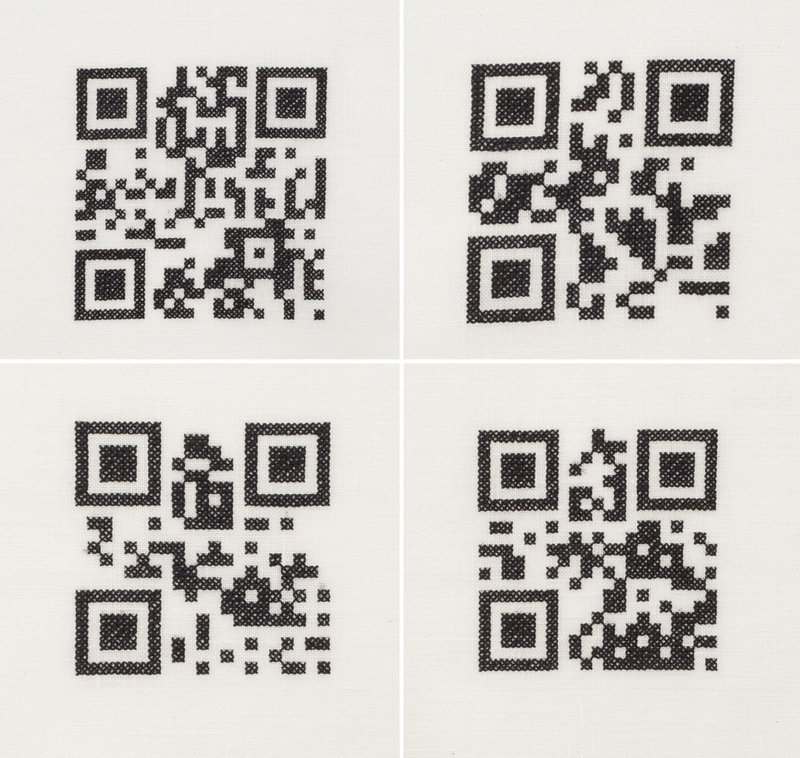 Viga Hausken also has an 18-piece cross stitch work titled No Time, showing the transformation of a butterfly into a QR code.